That looks like a fun graphic. What program do you use to generate it? Thank you – it was fun to put together too. I use easel.ly – a free online tool for infographics and charts. Hi Andrew, read your interview on Geneabloggers. 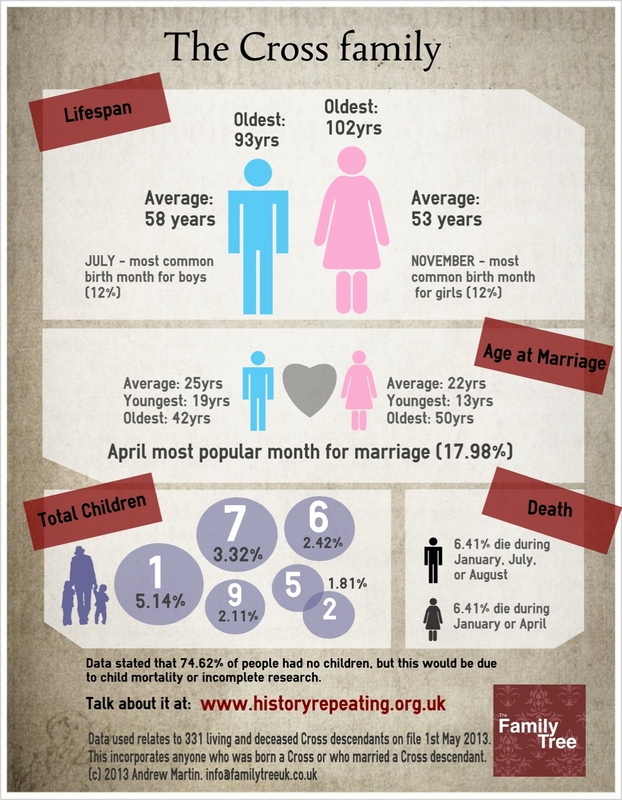 Like the idea of infographics for family stats. I’m always looking for ways to present family history visual. This worked really well. Hello edesorban, thanks for the comment, and welcome to the blog too! Yes, infographics are a fun way of sharing the info. I see infographics covering lots of different topics, but hadn’t noticed any for genealogy – so thought i’d put my two favourite things together on the off-chance that it would help people find genealogy a bit more interesting. They’re also lots of fun to make. Previous Previous post: Cambridgeshire Family History Society Fair details confirmed – and it’s free!